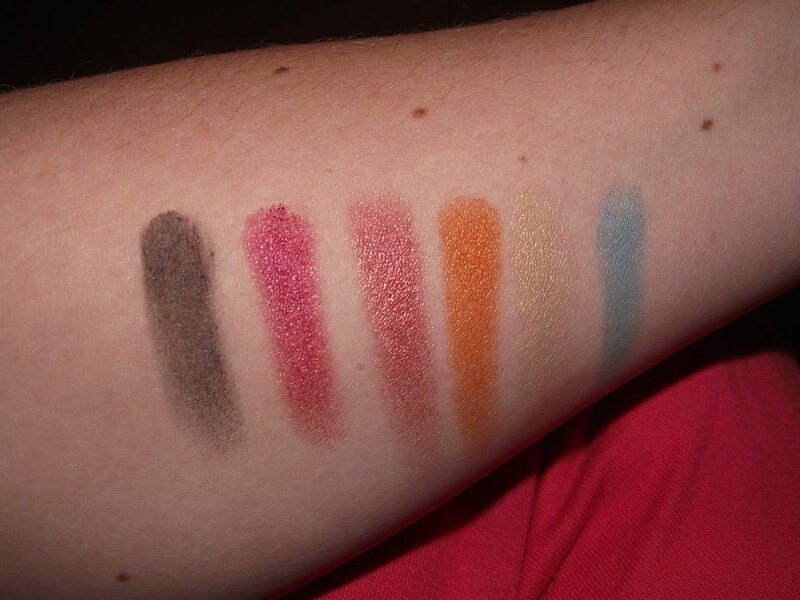 And now for the swatches.. The Sunset i-Divine Palette retails at £5.99 and is worth every penny!!! 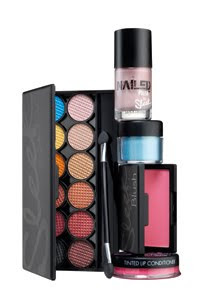 The palette contains 12 highly-pigmented shades which represent the sun, sea and sand. I have to agree they have definitely captured the sunset in this palette! I really like this palette and the shadows feel so soft and velvety, the colour pay off is brilliant and very pigmented. Here is my first play with the palette.... I used all the colours for this look from the bottom row and used the yellow shadow from the top row just in the inner corner of the eye. 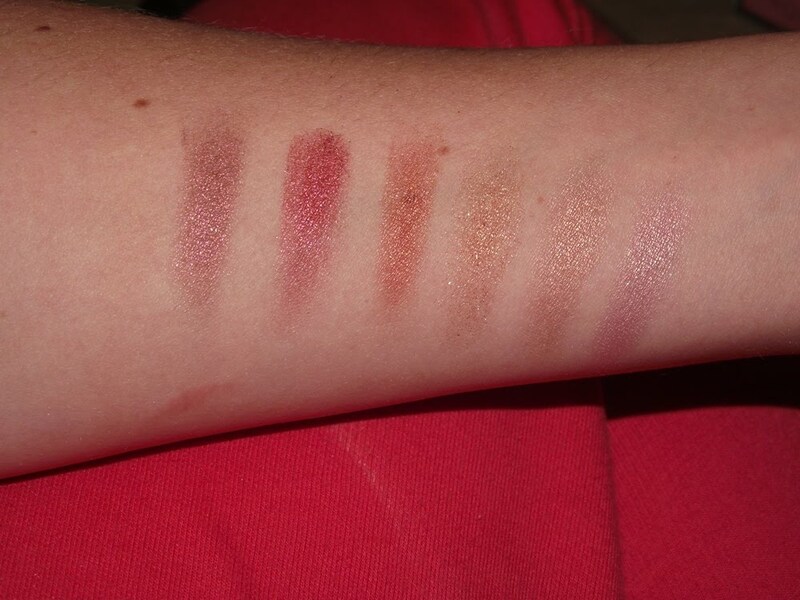 Here are the other swatches of the products mentioned above.. Eye Dust (Breathless) and retails at £2.99. This is a shimmering loose powder which feels soft like the palette shadows. It glides onto the eyes effortlessly. I like how you can build this colour up for a more intense look, but could use it very lightly just as a wash over the eyes. I personally LOVE this and will be purchasing the other colours, this is tinted lip balm which contains Almond Oil, Shea Butter, Avocado Extract and Vitamin A, C and E. All these super natural oils hydrate the lips and if thats not enough they also protect the lips with an SPF15! The blush is very pigmented and lasts for a while on the cheeks which we all want! The feel of the blush is very soft and velvety as with all the powder products from Sleek, the blush glides on so well. The colour does look very bright but once you work with it and blend it properly it gives the cheeks a nice pinched look. Where you lucky enough to snap this little beautie of a gift up?? Oh I like that nail polish colour!